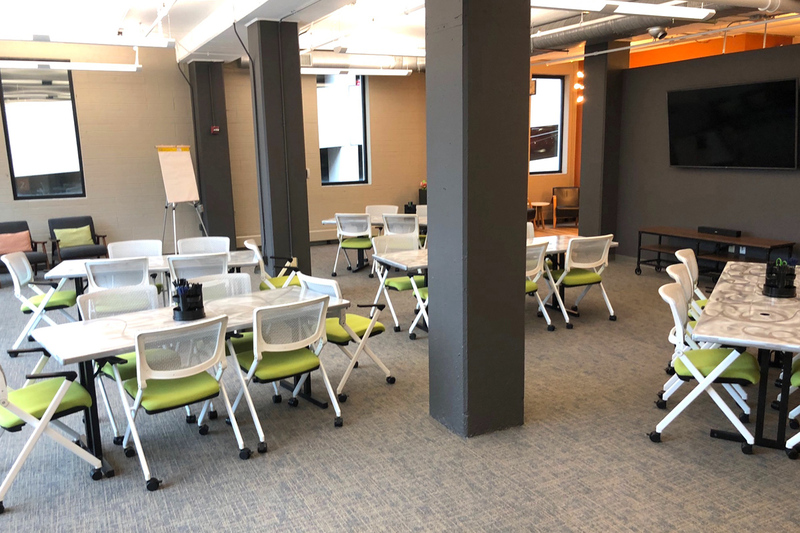 The hideout is a very versatile space with many different setup options, including breakout spaces. 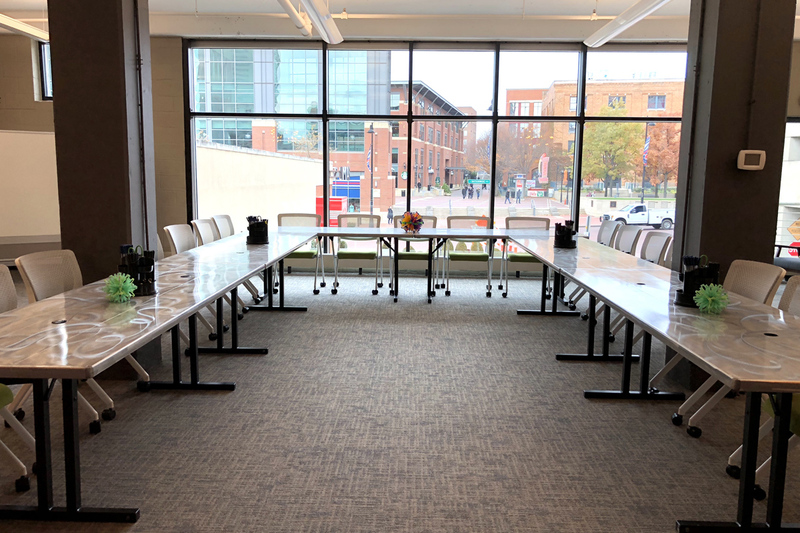 Keep in mind that every setup is scalable – we can adjust table sizes and number of chairs to fit almost any size group. 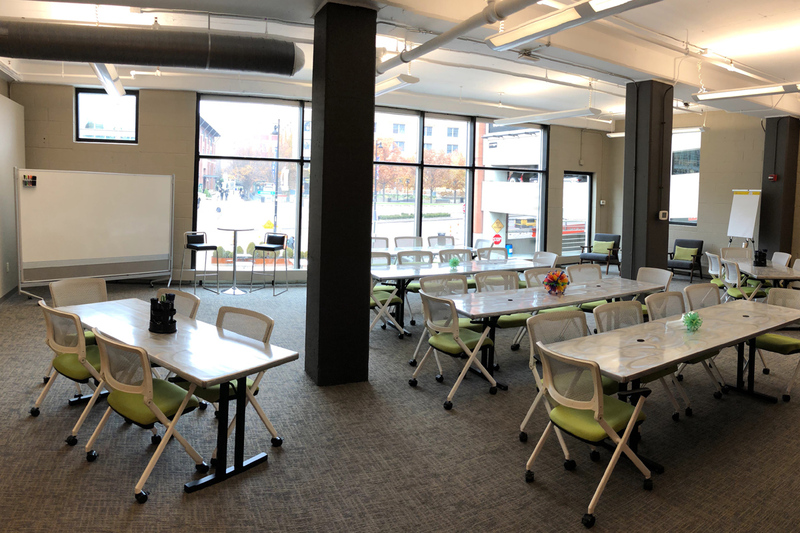 sparkspace is not your typical conference space, and you have options here that you may not have experienced before. We’re always happy to provide setup ideas and recommendations based on our expertise! Ideal for up to 24 participants (16 shown). Modular table can increase or decrease in size depending on number of chairs needed. 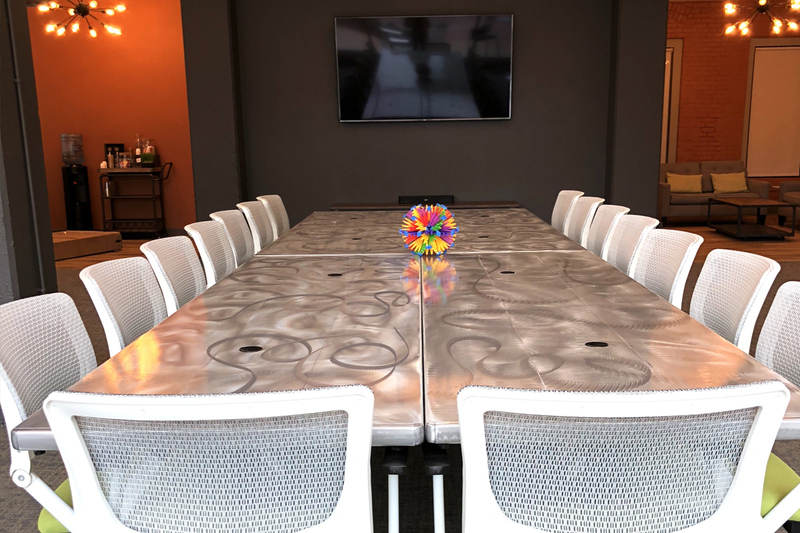 Features conference table with tv projection at end. Ideal for up to 30 participants (32 shown). Recommended for presentations, workshops, and training. Tables & chairs can be added or subtracted based on number of guests. For most situations, we highly recommend the starburst setup over the U-shape. U-shape will be facing the TV projection or can be filled to face windows if no projection needed. Ideal for up to 30 participants (30 shown). Living room furniture placed in front of room, providing extra or alternative seating.